Basic layout can be changed with the techniques described in my previous article that can be found by clicking here. 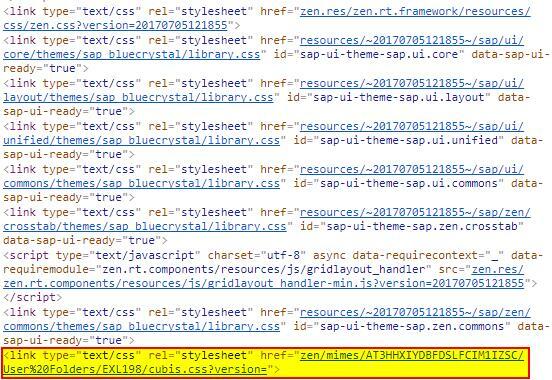 But what would you do if the standard SAP styling of a component does not meet the requirements set by business? It is possible to tell the business there is no way in changing this, but what if there was a workaround for standard styling of components? 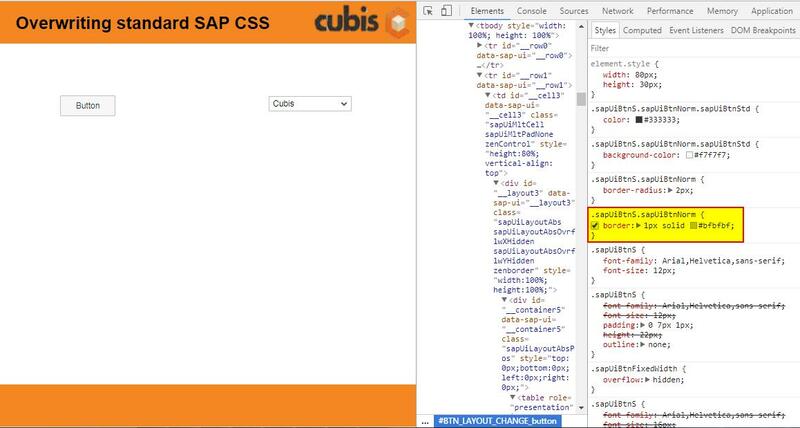 If we explore the generated page of the Design Studio dashboards in Google Chrome with the developer tools, we see that the custom CSS sheet is added behind all standard SAP CSS sheets. 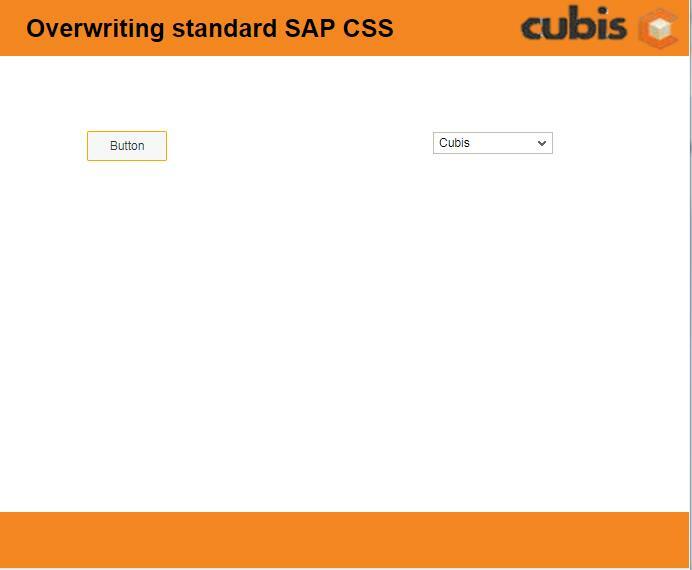 This makes it possible to overwrite the layout that was defined by SAP. 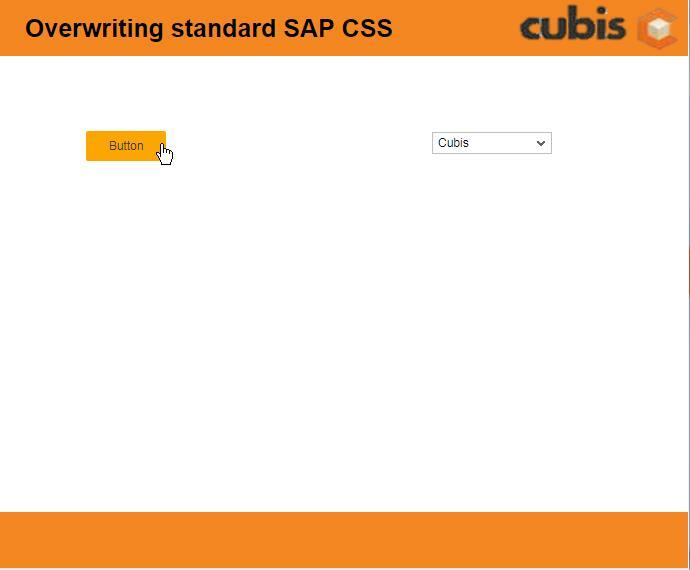 Changing the standard CSS class provided by SAP. All options are possible to attain the same goal, but if you ever want to create a company-specific template the first option is more work-intensive to create and especially to adapt to any layout-changes the company ever wants to make. When there is one central CSS definition that is adapted for that company and a company colour changes, it has only to be changed in one place and every dashboard is up-to-date with the new layout, while in the first option every dashboard has to be checked and possibly adapted. If we take a button as an example and we want to change the hover layout of that button, we need to know which class we have to change. This could be a little bit trial and error at first, especially for components that use a lot of CSS classes. To do this I used Google Chrome Developer Tools and the inspect element option. In the following example, I will change the hover colour and the border colour of the component to orange. If we also add a dropdown component and look at the CSS for this component, we see the following CSS classes. 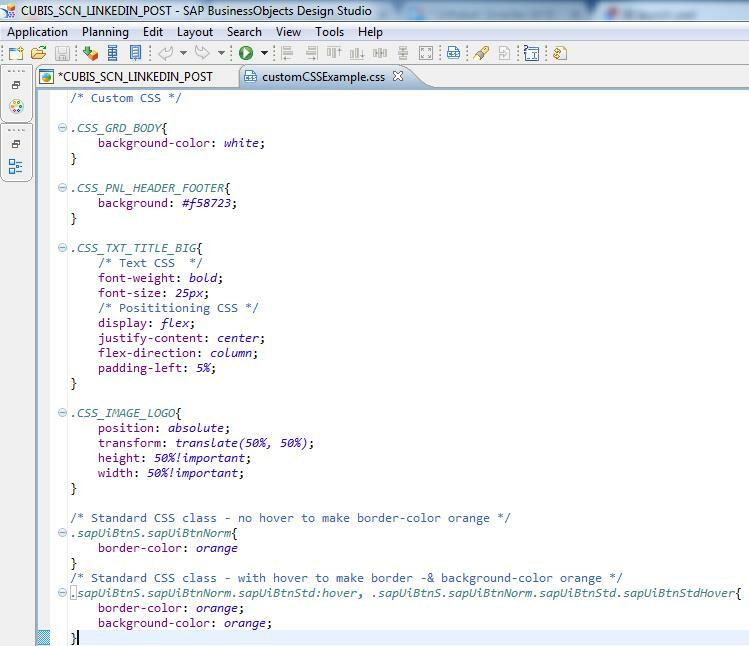 As you can see in the screenshots above, it is clear that most, if not all, of the CSS classes used in the standard components have the same prefix “sapUi”. When we go back to our initial requirement, to change the hover colour of the button and the border of the button, we now have to explore and adapt the changes to the standard CSS class. This can also be done in the inspect element feature of the Google Chrome Developer Tools. 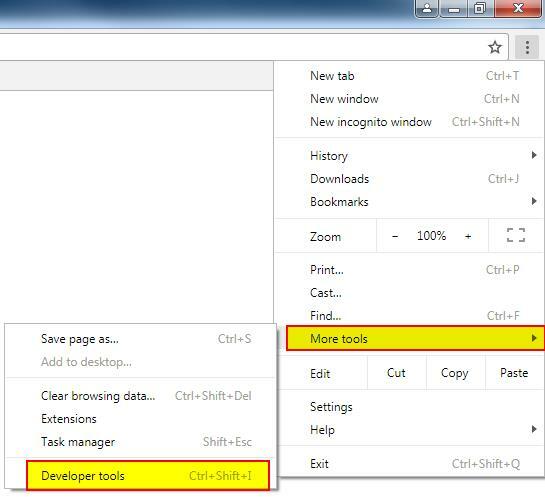 When an application is executed in Google Chrome, there are three possibilities to open the Developer Tools. There are two keyboard shortcuts, which are “F12” or “CTRL+SHIFT+i) or you could use the menu with the following steps. The next screen will be opened when using one of the three ways mentioned. The first part, being the colour change of the border, is done. However, we also need to change the colours when hovering as the hover border will still take black as border colour. The information for the hover part is also viewable in the styling part of inspect element. This can be done to change the element state in the styles-part of the developer tools, as illustrated below. At this point, we can just copy/paste the names of the CSS classes which we need to change from the existing styling in the custom CSS file. When we save this and run our application, we see the appropriate layout we wanted in our application. Note: Be aware that the standard CSS classes are used throughout the entire application. Thus by overwriting the standard CSS styling, it is possible that this will lead to conflicting results when you do not want the standard components to be changed in other parts of the application, where this was not intended. But with CSS, there are also ways to apply styling to a class only if it is a child of another CSS class. This other CSS class could be a CSS class defined in the properties of the component. I will not be going into full details on this point, but leave a message if you want to know more.